You may have seen on my IG stories: this dress by Banana Republic is AMAZING! It has luxe sewing details on the waist (almost corset-like without the structure!) and the fabric is perfect (it doesn’t wrinkle!). I can’t say enough good things about it. I’m packing it for Aix en Provence and it’s going to be on repeat all Spring and Summer. Dresses like these are gems. Also need to point out this blazer which I wore in Dallas and SF already. It’s made of lightweight, breathable linen (the fabric of the season) and the color is incredibly versatile. 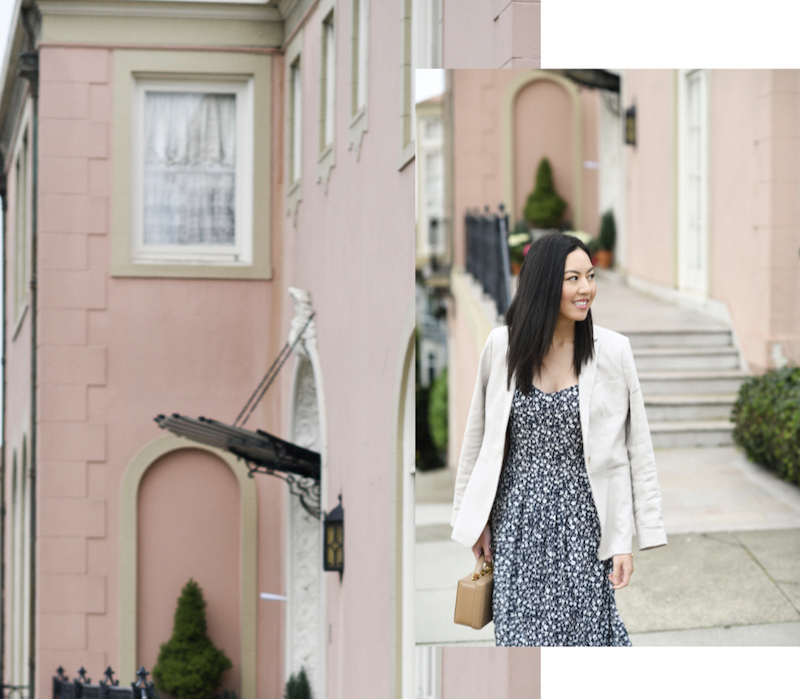 To be honest, their whole Spring collection is lovely – sharing more of my favorite pieces below (and some which I’ll wear and share on the blog soon). 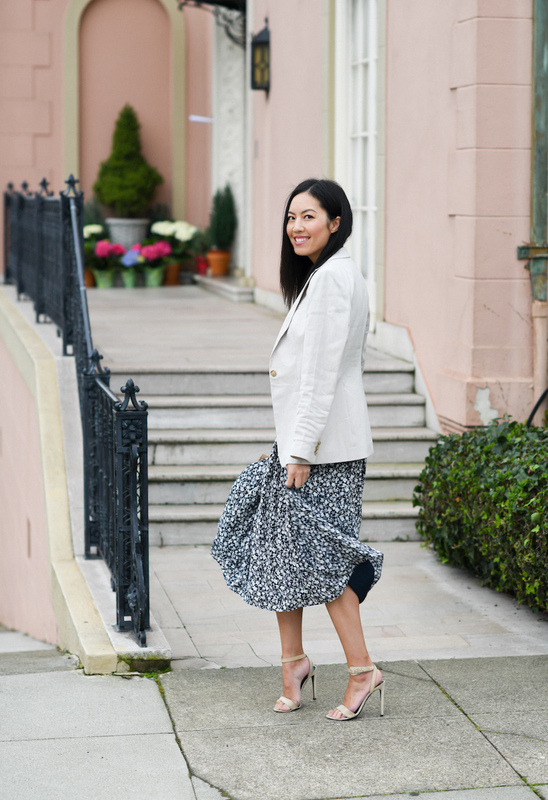 Thank you Banana Republic for partnering with me on this post – so in love with your new collection! Definitely need to check out BR! Because that dress is perfect! Love ♥️and adore both outfit looks, just parfait for Spring/Summer ahead! I personally love jumpsuits but that dress is gorgeous, I love the pattern and the fit looks so flattering. In love with this dress <3 🙂 The print is so pretty! And yes, I love dresses and jumpsuits too! They're perfect for the spring! The dress fits you so beautifully!